? 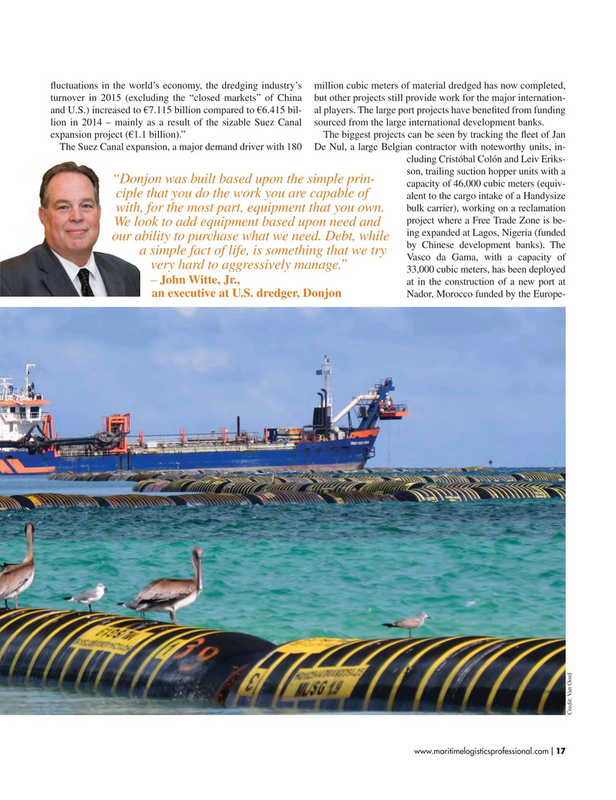 uctuations in the world’s economy, the dredging industry’s million cubic meters of material dredged has now completed, turnover in 2015 (excluding the “closed markets” of China but other projects still provide work for the major internation- and U.S.) increased to €7.115 billion compared to €6.415 bil- al players. The large port projects have bene? ted from funding lion in 2014 – mainly as a result of the sizable Suez Canal sourced from the large international development banks.